Easy to use, comfortable grip. Prior to having 4 discs fused - cervical area, lost a GREAT DEAL of hand strength, consequently could not use regular nail clippers! This tool is sharp and so easy to use. Love it. 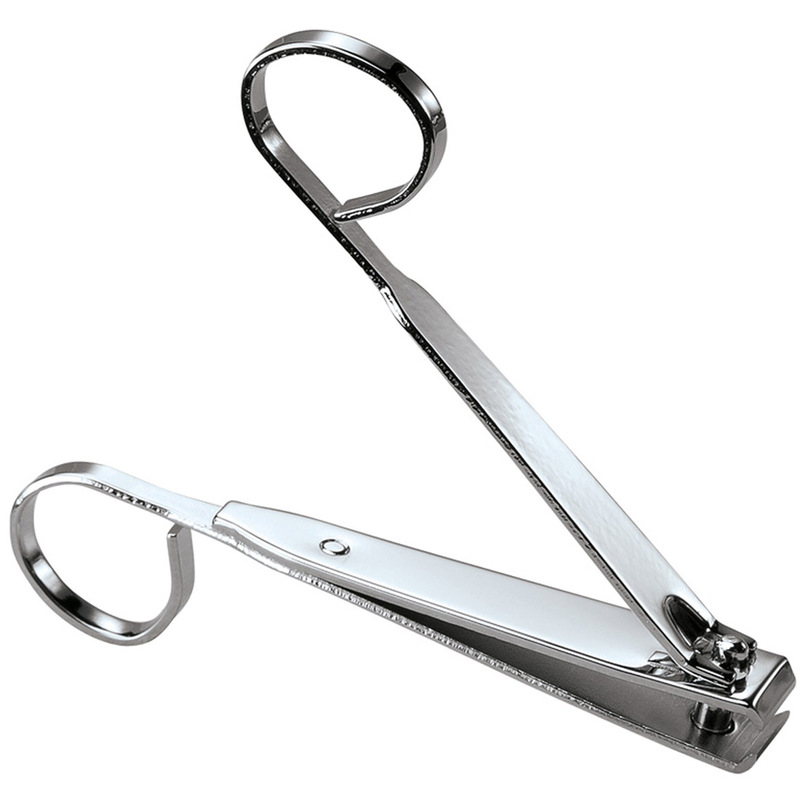 very easy to hang on to while clipping nails. I love these clippers and so does my family's!! No more flinging off the fingers!! HAHAHAHAi love them. I need done more pair. I'm 83 and have trouble holding reg. clippers. These are great and easy to hold. I love them. Thanks so much. I also got a set for my daughter for her arthritis. I have to get use to using them. Great design since I have a hard time with the usual kind that is sold. This design makes it easier to use due to my arthritis, they don't slip out of my hands. The items were as advertised, just hard to get used yo after using the conventional ones. These are not as good as regular nail clippers, and harder to use. I would advise you to save your money. Have difficulty reaching feet. This shape looks useable. Already have a set, love them. These are for Mom. I have trouble reaching my toe nails for a quick trim. I am hoping this item will make the task easier on me. I ordered these in the past and loved them. So much easier to hold onto when using. I'm putting them in all my adult children's stockings. Needed to cut toenails of elderly mother, I felt more confident with this type of implement. We have trouble holding on the clippers. However we did not receive the smaller clippers with our order? I'm always dropping my clippers so I purchased these. They work great! I bought this because I needed a nail cutter that was easier to hold and use. I have trouble reaching my feet. I like the "finger" holds. My fingers won't slip off, giving me more control of cutting my nails even. Plus I use clippers to get rid of hangnails. These look like they'll get the job done. Because the stay on your fingers without flipping off!!! Wonderful inventions!! Easy to use, especially on another person. for my dad who is 87 years old. I thought it will be easier for him to use then the standard kind. Bought for myself and works so well I decided that all three of my children need this. I am in my eighties and having trouble bending. thought it worth a try. wonderful product & good price. I am older and it is getting harder to reach my feet. The type I wanted wasn't available. To aid me in clipping mine and my husband's nails.